Simon Dyson Simon Dyson, World Golf Ranking 174, faces possible suspension from the European Tour after signing an incorrect scorecard at last weeks BMW Masters in Shanghai. The whistle blower was another home video referee. Not realizing that had incurred a penalty he failed to add a two-stroke penalty to his card, thus he signed for an incorrect score and was duly disqualified. The European chief referee John Paramor instantly disqualified him from the tournament. As a consequence Simon is now facing a charge of "misconduct" and if found guilty he could be expelled from the European Tour, for life. Simon said that it was an accidental mistake; "My action was in no way a deliberate act with the intention of breaking the rules. It was simply an accidental mistake." The Tour officials released this statement; "If, following the hearing, the panel decides that a breach of the code has been established, it shall impose a sanction that it considers appropriate having regard to the circumstances. Such sanctions may range from a reprimand, a censure, a fine, a suspension of Membership, a suspension from participation in one or more tournaments or for a given period, or expulsion from the European Tour, or otherwise as the panel shall determine." Compare that occurrence with some of the violations of Tiger Woods, World Golf Ranking 1. Tiger Woods / Getty Images In The Masters, Tiger deliberately took a drop that was contrary to the rules because he wanted to play from a distance that suited him. The Rules of Golf are necessarily severe in their exactitude. 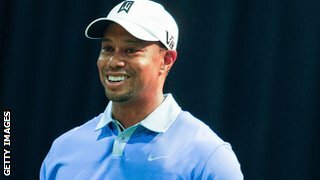 A player, when competing under rule 26-1-a, as Tiger was, is required to drop "as nearly as possible" He duly signed for an incorrect score, the penalty issued by Slugger White, just a two shot penalty, he was allowed to continue in the tournament. At the Abu Dhabi Championship Tiger illegally took a drop, for what he thought was an embedded ball. All the players were aware that the waste sandy areas around the course were not part of the close mowed course, so no free drop was permitted. He duly signed for an incorrect score, the penalty, two shots, and no DQ from the tournament. At the BMW Masters Tiger moved his ball while removing loose impediments, another video infraction. Tiger received a two shot penalty, the officials stopped him from signing an incorrect card. He still believes to this day that he did nothing wrong. It appears that the rules are applied differently if you are the world number 1, the penalties are not as severe as when you are down at 174. There is always the question of phone in calls on violations, but in the rule book under Decision 34-3/9: ''Testimony of those who are not a part of the competition, including spectators, must be accepted and evaluated. It is also appropriate to use television footage and the like to assist in resolving doubt.'' Tiger has also benefited from other rulings, twice he has lost his ball and been given a free drop ? The one at Firestone was the craziest, Tiger had sliced a shot onto the clubhouse roof, the ball was never found, they even searched the car park beyond the clubhouse, stating that it was not out of bounds. This searching took more than five minutes. The TV commentators announced that the ball had disappeared down an air-conditioning duct, and could not be found. Who comes to Tigers rescue, Slugger White, giving him a free drop, greenside. Not sure what rule he was using. Slugger White said the clubhouse has never been deemed to be out-of-bounds. In fact, he said Woods' ball could have bounced across Warner Road and onto the North Course, and it still would have been in play. The rule book seems to disagree with him stating that "Out of bounds is beyond the boundaries of the course" Whatever, it is still a lost ball. What are your thoughts ? I am interested. Pete, looked like a spike mark to me. If it was a loose impediment, he could have swept it away without penalty. Old ball mark; fix it and tap it down no penalty. I can’t imagine what else it could be. What did your rules official think it was? Thanks for your comments Brian, But Tiger knew exactly what he was doing with taking a drop at the distance he wanted, he said so.i just hope that Simon is not expelled from the tour.I was speaking to a rules official over here, he had watched the video of Simon and he was not convinced it was a spike mark. Pete, Unfortunately, comparing Dyson and Woods is like apples to oranges. Woods is under constant scrutiny and every move/ rules violation is clearly there to see. He would be foolish to deliberately break a rule. The call on Dyson seems easier to me. Do you believe tapping down the spike mark was a honest mistake as he says? I do not. My concern is how easily he broke that rule and if he’s incurred similar violations that were unnoticed in the past. Seems like a case for stern punishment but short of expulsion. His reputation will now hang around his neck wherever he goes. It’s unfortunate that we seem to judge different players by different standards, but such is the state of the game. Thanks! Very interested to know re: RTJ. Thanks Pete! He did not comment on what he thought it was, he just said it did not look like a spike mark. Two shot penalty, OK, but DQ from the tournament, reported for misconduct and possible expulsion from the Tour, a bit over the top. Thanks for your comments,playing this weekend with the guy who was not impressed with RTJ Trail courses. Will let you know which ones he played.